The rand extended its losses as markets digested Finance Minister Malusi Gigaba's maiden medium-term budget. TreasuryOne said there is no stopping the runaway train the USDZAR is on currently. The local unit breached R14.10/$ to its the weakest level this year. "The ZAR is by far the worst performing currency of the day. The R186 bond yields up by 25bps for the day trading at 9.10% currently, also at a 2017 high. "We do think that the rally is a bit overdone and that we can perhaps see a retracement," said TreasuryOne currency dealer Wichard Cilliers said in a snap note. By 18:19 the local unit was trading 2.53% weaker than its overnight close at R14.10. It earlier touched R14.11. The rand is starting to stabilise at around R13.94 to the US dollar, the previous high of 2017. This is compared with other emerging market currencies, which are trading stronger in the afternoon session, as the dollar comes under a bit of pressure. TreasuryOne thinks for now the R14.00/$ level will hold. The rand is not happy with Finance Minister Malusi Gigaba's speech. In addition to the poor debt outlook, Gigaba said the government is disposing a portion of its stake in Telkom. SAA will be given a further R4.8bn by March 2018. Gigaba also said the national carrier will be looking for a strategic equity partner to help the turnaround at SAA. Eskom may also require government assistance if the proposed tariff hikes is not approved. Gigaba says Eskom "simply too important" to fail. Denel and the SABC may face liquidity shortfalls and would require government intervention. 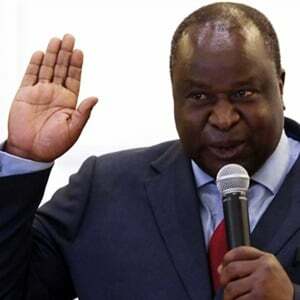 Treasury will also recapitalise the SA Post Office with R3.7bn. The financial deterioration of major state-owned enterprises is a clear and substantial danger, said TreasuryOne in its running budget commentary. "The currency doesn't like the budget speech and the USDZAR is testing the 2017 highs of R13.90 currently. We will need to see what happens from here, but caution need to be exercised." Cape Town - The rand weakened sharply after Finance Minister Malusi Gigaba said National Treasury will increase its borrowings in the international market and that it will issue short-term bonds to fund its higher borrowing requirements. TreasuryOne said in a snap note gross loan debt to GDP will rise to 50.7% of GDP in 2017, while gross debt will to rise up to 59.7% in 2021. The rand has taken strain as a result and is currently testing R13.90/$. By 14:26 the unit was trading 1.04% weaker than its overnight close at R13.89/$. Gigaba's maiden Medium-term Budget Policy Statement was delayed when the EFF disrupted proceedings. Gigaba started his speech after the opposition party left the house. The rand was trading at R13.74 against the greenback just before the proceeding in Parliament started. 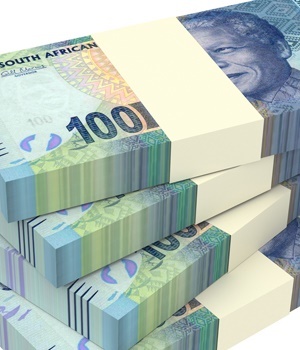 Earlier on Wednesday analysts said it seems like the writing is on the wall for further rand weakness, but the slimmest chance of a better than expected deficit might boost the confidence of investors and help buoy the local currency. Gigaba announced that the budget deficit will come in 4.3% of GDP from the 3.1% forecast in February. This is the highest budget deficit since 2009, said TreasuryOne.